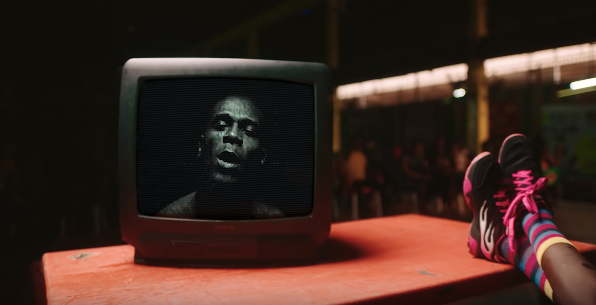 Burna Boy's new video sheds light on the stories of many Nigerians who are facing economic struggles. Released his first solo single of the year, "Dangote," late last week. The new Kel P-produced track, which is named after Nigerian business magnate and Africa's richest man Aliko Dangote, sees Burna singing in Yoruba, English and Pidgin. The single now has a striking new Clarence Peters-directed music video that sheds light on the stories of many Nigerians who are facing economic struggles and the choices that come up from living in those situations. The new video starts with a quote that reads: "The richest man in Africa still goes to work every morning. Employment and job creation should be priority for any government. The National Bureau of Statistics puts the estimated number of unemployed Nigerians at 23.1%"
"Dangote" follows Burna's recent single alongside man-of-the-moment Zlatan "Killin Dem" and "Play Am" with Oritse Femi and Konshens. Burna will be kicking off his African Giant Tour across North America this April in Boston, One of those dates will see him representing Nigeria at the 2019 Coachella Music Festival along with Mr Eazi.